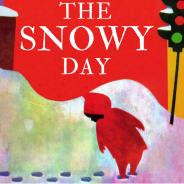 The Snowy Day celebrates the magic and boundless possibilities of the first snowfall! Follow Peter and his friends as they romp and play, starting snow ball fights and making snow angels in this imaginative musical play about the childhood joys and challenges of growing up. Using innovative shadow puppetry, Keats’ treasured characters come to life in this humorous and fun adaptation of Whistle for Willie, Goggles!, A Letter to Amy, and The Snowy Day.